As of the end of June 2014 the existing Green Deal scheme, is being replaced by the Green Deal Home Improvement Fund. So what it is the difference and who will be better off under the new Green Deal cashback scheme? 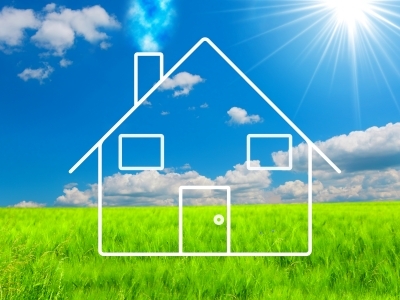 How is the Green Deal scheme changing? 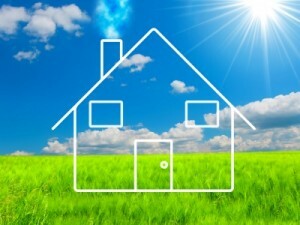 In order to boost the attraction of the Green Deal the existing scheme has recently undergone a number of changes, including an increase in the amount of cashback available for certain energy efficient home improvements, plus customers can now get claim cashback to cover up to ⅔ of their contribution (rather than 1/2). The full list of changes that are occurring to the existing Green Deal scheme are explained here. But has this increased uptake? The number of new Green Deals has certainly increased in recent months but time will tell if this trend becomes imbedded (a lot of the recent increase in uptake was put down to Energy Companies Obligations). The principle behind the original Green Deal may have be sound, but with its complexity combined and an initial assessment charge of around £100-150 is it any wonder that take up has disappointed! As of the end of June 2014 the existing Green Deal is being replaced by the Green Deal Home Improvement Fund (GDHIF). The introduction of the GDHIF (the new Green Deal cashback scheme)temporarily adds to the complexity of the Green Deal. Consumers looking to do home improvements before the end of June may be confused over which scheme offers the best deal. In short those looking to do solid wall insulation will be better off under the GDHIF as the cashback amount is higher, £6,000 vs £4,000 on the existing scheme. But ultimately consumers will need a full assessment in order to then determine which scheme will be best for them and their list of recommended improvements. On the plus side under the GDHIF there is scope to reclaim £100 of your initial assessment fee if you have the recommended work done. But why did the Government not reduce the generosity of the scheme in favour of offering free initial assessments? Also the complexity of the scheme will likely remain a barrier to a lot of consumers. MoneytotheMasses.com tip: If you plan on signing up to the Green Deal shortly, have an assessment ASAP and then decide which scheme is more generous (the existing scheme or GDHIF). 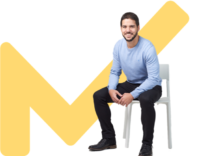 Don’t forget under the existing scheme cashback applications close on 30 June 2014 and installations must be made and vouchers redeemed before 30 September 2014. Most people perhaps don’t realise that you don’t have to take out a Green Deal loan to use the Green Deal and claim cashback. If you have the cash to pay upfront then you will save money by not borrowing. It’s difficult to pin down the exact interest rate you will pay on a Green Deal loan because a one-off loan fee and annual finance charge are added to the headline rate so can push it up by around 2% a year. Plus it depends on the amount you can borrow. “According to the Green Deal Finance Company, there is a one-off loan fee of £63 and a £20 annual finance charge for every loan that’s taken out. Green Deal providers have the option of absorbing this cost, or passing it on to you…..
….if you took out a Green Deal loan worth £1,500, repaid over 25 years, and the headline rate of interest is 6.96%, the interest rate you actually pay is actually going to be over 9% a year with the annual finance charge included…. That would equate to total amount repaid of £10,666 which would need to be offset by your energy savings and cashback. That's why consumers must ask to look at the APR on any loan. Alternatives would be to take out a personal loan with a more competitive APR or adding it to a credit card or your mortgage. A credit card would have a much higher interest rate so is not advisable (anything from 15-20%) while the latter will likely involve remortgaging and fees. But the latter may appeal if you are planning to remortgage anyway, plus don’t forget if an improvement won't pay for itself in energy savings over 10 to 25 years, then you won’t be able to borrow the full amount through the Green Deal scheme anyway (and don’t forget the monthly repayment is not supposed to exceed the level of your bill savings). Green Deal - what is it and is it worth it?